HAVOC Jeet Kune Do founded by Sifu Jay Cooper has it’s first representative in the UK under the guidance of Sifu Simon Sheridan. The name HAVOC means “Hostile Aggressive Violent Offender Combatives” – which represent the main types of confrontation one may encounter. It also refers to the very nature of combat itself, which is fast, chaotic and very unpredictable. That said we have developed strategies to enable you to focus and perform under pressure. With Jay’s system there is a PROVEN methodology that has been utilised and developed PERSONALLY over 18 years of experience in some of the most dangerous confrontations imaginable. Sifu Jay is a serving Police Officer with the City of Calgary, and has been an active Police Officer for over 18 years. He is recognised by Canadian and UK courts as a “Use of Force” subject matter expert, and has given testimony numerous times in this capacity. Jay has also lectured internationally on Post-Conflict Articulation and Situational Awareness. His extensive Law Enforcement and Martial Arts experience gives him a unique insight into the world of Personal Security services. He offers unparralleled training that is not just focused on the physical aspects of interpersonal conflict, but the legal and moral considerations. As Jay himself says “Most combat training gives you a series of weapons to use….I prefer to give you a box of tools”. 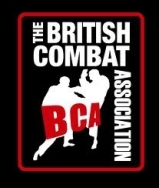 Added to this is Simon’s 30 years of knowledge and experience across the martial arts spectrum. This includes Eskrima, Muay Thai, Jeet Kune Do, Boxing, Grappling, Kung Fu and Tai Chi. HAVOC JKD and HAVOC JKD UK are both looking forward to 2017.